Louise Clark is the author of six historical and contemporary romance novels, all of which will soon be re-released into e-book and print formats. Fighting Fate is Clark's seventh novel. Faith Hamilton is a beautiful, young, and dedicated office worker who spends much of her spare time with her mother and sister. In addition to these very attractive qualities, Faith has another special, secretive ability - one that allows her to draw her family's ancestors from the past and into the present. Aware that her unique ability may cause her to seem freakish and rejected by the men she dates, Faith sticks to her solo lifestyle. Elizabeth Flock is the bestselling author of the acclaimed Me and Emma, and is soon releasing its follow-up entitled What Happened to My Sister in August 2012. 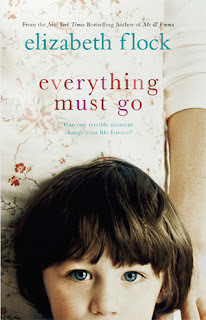 Everything Must Go is Flock's third novel. Henry Powell leads a comfortable, though predictable and mostly unsatisfying life. Residing in the sleepy Connecticut town he grew up in, Henry has been spending his days as a salesman in Baxter's clothing store, which has kept Henry employed dating back to his teenage years. Lacking a love-life and taking care of his alcoholic mother on a daily basis, Henry consistently daydreams of better days - back when his family was a real, happy family, and when he was the star of his high school football team. How to Flirt with a Naked Werewolf is the first book in the "Naked Werewolf" series by Molly Harper. 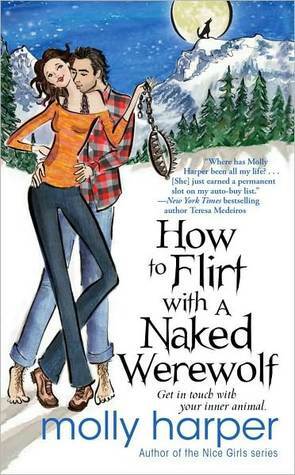 Harper is also the author of the "Nice Girls" series and several other romantic paranormal comedies. Mo Wenstein has recently moved from her hometown in Mississippi to Grundy, Alaska, for a fresh, new start after a failed engagement. Although Mo is feeling a bit skeptical about her decision at first, she is intent on turning her small log cabin into a home, and making friends with the local residents. Robert Jackson Bennett has won multiple awards for his novels; including the Shirley Jackson Award, the Sydney J. Bounds Newcomer Award, and the Edgar Award. The Troupe is Bennett's third novel. George Carole is a talented, 16-year-old pianist searching for a father he has never met after having lost his mother at the time of his birth. In an effort to locate his father - a man he believes to be the infamous vaudeville troupe leader Heironomo Silenus - George joins the vaudeville industry to bring him one step closer to a reunion with his long-lost father. The Glasswrights' Progress is the 2nd book in the "Glasswrights' Guild" series by Mindy L. Klasky. Klasky is also the author of the Jane Madison "Witchcraft" series, and several other romance and fantasy novels. It's been 2 years since former glasswrights' apprentice Rani Trader has moved into the royal palace in the kingdom of Morenia. Feeling happy and secure for the first time in a long time, 15-year-old Rani has plans to rebuild the glasswrights' guild that had dissipated after the previous heir to the throne was assassinated by a secret brotherhood. However, Rani's dreams are swiftly put on hold when she is kidnapped by King Hal's younger brother Bashi, and taken to another land under the reign of the very sick, twisted, and demented King Sin-Hazar.